I haven't been much of a 'smoothie' person lately. Don't get me wrong, I enjoy a good smoothie... if someone else makes it for me, but I'm not much for making my own. However, since starting Juiceplus I have become hooked on the Complete Shakes. These shakes couldn't be more easy to prepare. All you need is one scoop of the powder, ~400mls of water or almond milk and my Bamix blender. I like these shakes as is with limited ingredients, but I'm starting to include more 'stuff' into each shake. 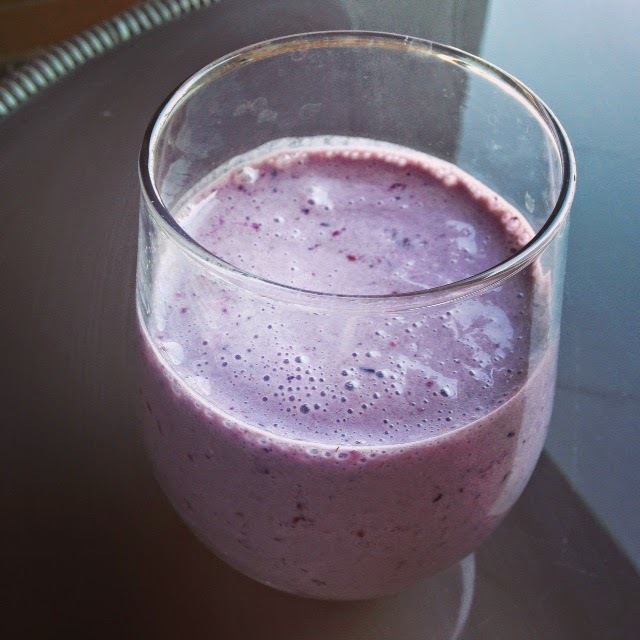 The picture above shows a vanilla shake with a few frozen berries thrown in.